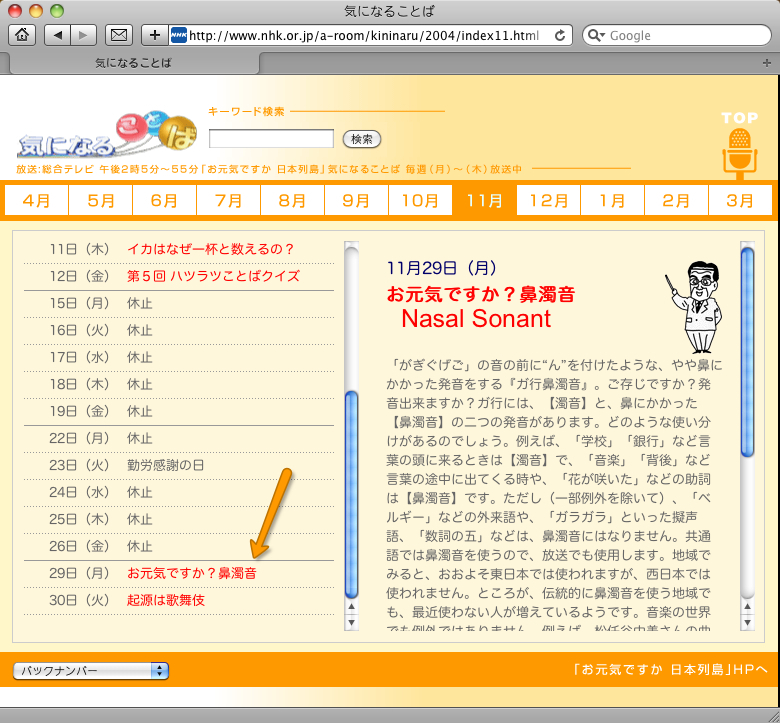 With reference to the advises from a “super” Japanese scholar and a Veteran Announcer of NHK, we can summarize 3 rules governing “Nasal Sonant”. 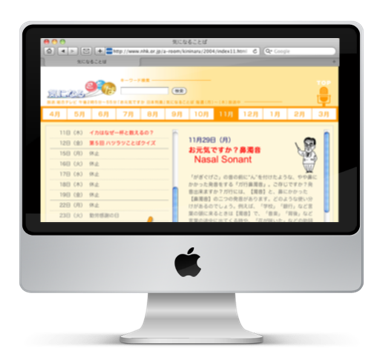 If が, ぎ, ぐ, げ or ご，does not appear at the first syllable of a word, then “Nasal Sonant” will be needed. Numbers and words written in Katakana don’t need “Nasal Sonant”. Contract your tongue and keep your upper and lower incisors 1cm apart during pronunciation. You can make “Nasal Sonant” too! It is not natural for beginners to do so but remember that everybody can make it with some repeated practice. Hope you can master of it and become one of your daily habits. 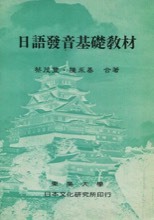 Dr Cai Mao Feng (Taiwanese: 蔡茂豐) was awared the Order of the Rising Sun （Japanese: 旭日中綬章きょくじつちゅうじゅしょう）for his lifelong endeavour to promote Japanese-Language education. He retired from the School of Foreign Languages and Cultures of SooChow University in 2011. His last title was “Honorary Founder of the School”. In fact, there are 2 kinds of pronunciations of the "row Ga"（ガ行）. The first is called a voiced consonant of the "row Ga". The second is called a nasal sonant of the "row Ga". If the first syllable of a word belongs to the "row Ga", then pronounce a voiced consonant; if the second or third (so on and so forth) syllable of a word belongs to a kana of the "row Ga", then pronounce a nasal sonant. Mr Masaki Umezu (Japanese: 梅津正樹うめづまさき) joined NHK in 1972 and had been working for different branches of NHK as an announcer in Tokyo, Osaka, Hiroshima and kyoto, etc. for more than 40 years. Behind the camera, he had been in charge of various kinds of programs such as sports, shows, documentary and news, etc. before he retired from NHK in 2012. Now he has began his new career: being a part-time lecture for his mother university, namely the Dokkyo University.